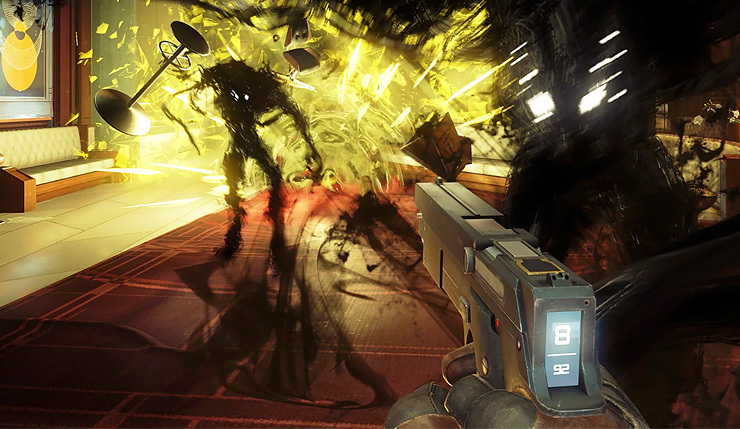 Last year’s Prey reboot wasn’t a smash hit, but Bethesda and developer Arkane Studios have remained admirably committed to their scrappy sci-fi game. Earlier this year they released the critically-acclaimed Mooncrash expansion, and now they’ve announced a release date for the multiplayer update, Typhon Hunter. As the name implies, the update is all about hunting those pesky Typhon, expect this time your friends will be controlling the shapeshifting aliens. Typhon Hunter also adds a series of new VR escape rooms to tinker with. You can check out a Typhon Hunter trailer, below. Imagine playing hide-and-seek. Now, imagine that your friends who are hiding from you are actually killer aliens. That’s the new Typhon Hunter multiplayer mode. One person hops into a match as Morgan Yu, and up to five others will play as shape-shifting Mimics. Each match begins with a period of prep time that the Mimic players can use to strategize, hide or prepare for an ambush. After that, the hunt is on. Morgan’s goal is simple: Kill all the Mimics before the time runs out, using only a Wrench or Pistol. The Mimics must stay alive however they can. They can stay hidden and wait it out, or they can try to take Morgan down. Going on the offensive is risky for the Mimics, as they only have one life. But killing Morgan runs down the clock and gives the Mimics a bit of time to regroup while they wait for Morgan to respawn. Typhon Hunter will eventually be playable in VR, which will release as a free update to the game in early 2019. TranStar VR is a single-player escape room mode designed exclusively for VR, and it is included in the Typhon Hunter update. 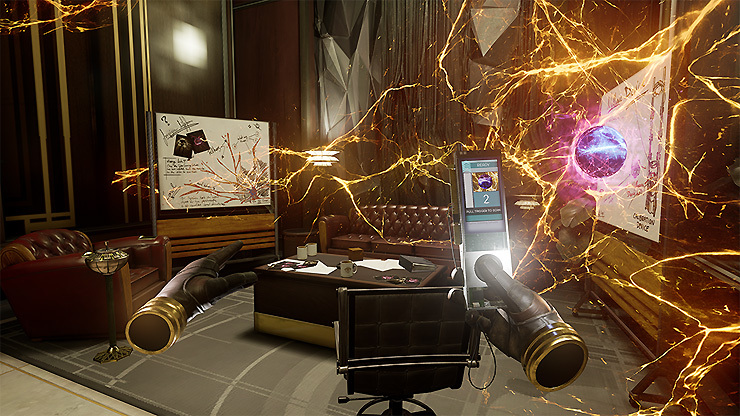 Set just days before the events of Prey, TranStar VR puts you in the shoes of various TranStar employees, solving puzzles in some of the most memorable locations on Talos I. Each map will have its own unique story and objective. Morgan’s Office: Play as Morgan Yu in this map, testing a prototype for a new invention called the Nullwave Device. This device may be the key to protecting humanity from the Typhon aliens, but you’ll need to use all the available scientific gadgetry in the correct sequence to get it working. Sim Labs: In the Sim Labs you are Dr. Calvino, the genius behind the Looking Glass technology. It’s with this tech that you will convince Morgan Yu he is still in his apartment on Earth – but there are some kinks to work out and you’re the only person who can fix them. Yellow Tulip: As Abigail Foy, you receive a message from Danielle Sho asking you to meet her at the Yellow Tulip after hours. But the Yellow Tulip is empty when you arrive, and all you can find is a mysterious sequence of clues and puzzles for you to follow. Who knows what’s really waiting for you?